High pressure washing and cleaning for building facades including brickwork, concrete, cladding and other surfaces. 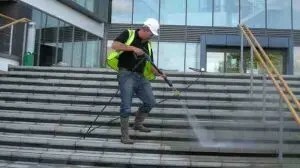 The Cardiff Window Cleaning Company provide a specialised jet washing and steam cleaning service for commercial and industrial properties in Cardiff, South Wales. We can undertake a variety of heavy duty tasks, including pressure washing building facades, patios, skylight windows, atriums and roof glass. 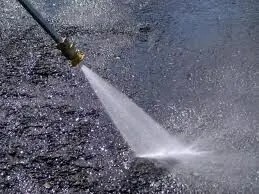 Specialists in External Cleaning using power washing, steam cleaning & jet washing equipment. Cleaning & restoration of stone, masonry, brick, brickwork, concrete, block paving & other hard masonry surfaces. Someone slips over every 5 minutes and this normally occurs on wet or contaminated areas. Most slips are due to poor maintenance and cleaning. Solutions are often simple and cost effective. Not only can algae and moss be unsightly but it can also be dangerous if in areas that are used by the public. 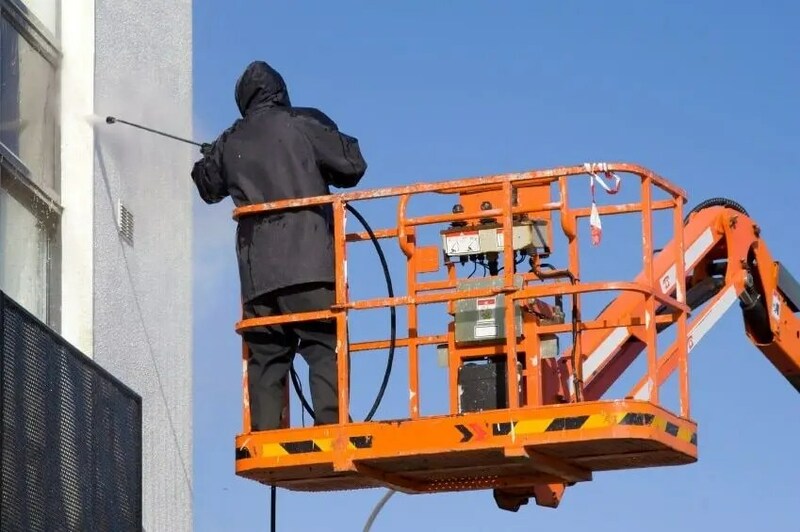 We can also remove the moss and algae of your building render and / or K-rend, in this circumstance rather than pressure washing we would recommend the use of our Soft Wash Render Cleaning which is not abrasive.